First time quilting? Beginners, learn how to quilt with pictures. See how to make a simple quilt with easy machine quilting techniques! 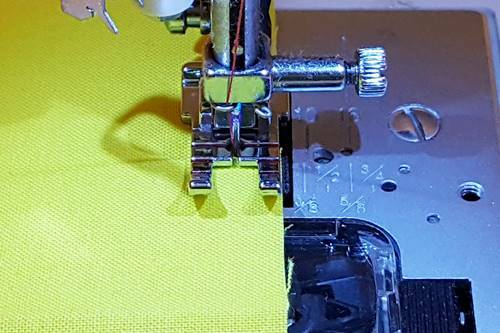 An example of how to quilt by machine is to stitch fabric with a 1/4 inch seam using a quarter inch presser foot. 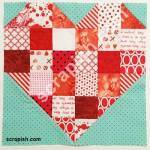 In this section we will cover basic topics on quilting. It will show beginners how to machine quilt. 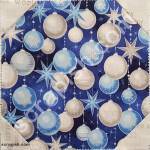 To quilt, you can use any sewing machine that can sew a straight stitch. So, if it's your first time quilting, your current machine, or an inexpensive one if you have to buy, will do. To quilt you need supplies! In the beginning you won't need a lot of fancy supplies. *The design wall is optional. 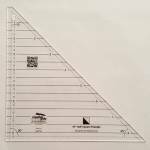 However, so that you can see how the quilt top comes together, it will help to have a large flat surface - floor, large table - where you can spread out the blocks or pieces that make up your quilt top. Now, we are getting deep into how to quilt. Yay! A quilt is usually made up of three layers – quilt top, batting and backing fabric. Together these three layers is called a quilt sandwich. These steps take you through the basics of how to machine quilt. To make a quilt you make the quilt top first. You can use either pieces of fabric or one piece of fabric for the entire top. Sometimes pieces of fabric are sewn together into a block, but other times one piece of fabric is the block. Blocks are then sewn together to make a row. Multiple rows are sewn together to make a quilt top. I like to use easy, big blocks to make my quilt tops. I admit it, I'm a very impatient quilter. I like to get 'er done :-). My quilt blocks usually range in size from 12 to 18 inches. This makes it easier to learn how to quilt. For my taste there is a lot to be said for simple quilt. You can piece a quilt back together from multiple pieces of fabric or by yardage that is wide enough for your entire quilt top. Quilt back ready fabric is sold in various widths: 60 inches, 108 and 110 inches. You can find batting made from lots of different stuff like cotton, a cotton and polyester blend, bamboo, shredded plastic, 100% wool or a wool blend. Personally, I like to use 100% cotton. You can buy it already cut and packaged in pretty standard sizes: baby, twin, queen and king. Batting is also sold off the bolt in which case you may have it cut to the size that you need. A quilt sandwich is simply your quilt top, batting and backing layered, or sandwiched, together. Once together, the layers need to be secured before quilting them. You can use either quilting pins or basting spray to hold the layers together. Personally, I use curved quilting safety pins to hold the three layers together. This is where the sewing machine comes in handy! You can use it to quilt the quilt. By machine, you can quilt a quilt using two special presser feet: a walking foot or a free-motion foot. Attach the binding to the front of the quilt using a sewing machine and attach the binding to the back of the quilt by hand sewing it. Attach the binding to the front and the back of the quilt using your sewing machine. I'll show you how to bind your quilt using the second option. Using your sewing machine to entirely attach the binding is faster and more secure (in my opinion) than hand sewing it. Once you complete this step, you know the basics of how to quilt! Though we are (or become) passionate about quilting, we always look for ways to speed up the process. Sometimes we may feel constrained by traditional piecing techniques because at most times things need to line up just so in order to get a pleasing look. This page (or this website) does not cover all quilting techniques... There are just too many! However, these quilting basics (and maybe slightly beyond) will put you well on your way to becoming a confident quilter. You will say... It's easy to learn how to quilt!